Alveolar process is the ridge on the surfaces of the upper and lower jaws containing the tooth sockets. It is also called as an Alveolar bone. The maxillary alveolar process is the ridge present on the superior surface, and the mandibular alveolar process is the ridge seen on the inferior surface. 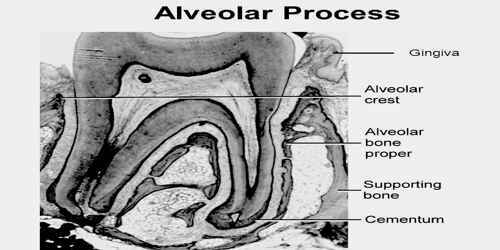 The alveolar process is the thickest region in the jaw. In humans, the tooth-bearing bones are the maxillae and the mandible. Alveolar bone proper is presented just adjacent the tooth socket around the root and it gives the attachment to the periodontal ligament fibers, which are the principal fibers. These fibers which enter the bone are regarded as Sharpey’s fibers. And the bone which is the lodgement site for the fibers is called as the Bundle bone. The alveolar bone proper is also called as “Cribriform plate” due to the presence of perforations and canals for the entry of vessels and nerves. Cortical bone contains cortical plates which have perforations in the anterior teeth, for the entry of blood vessels into the inner parts of the teeth. The cortical plates are least in the maxillary region and the highest are seen in the molar region of the mandibular bone. Spongy bone also called Spongiosa, contains trabeculae. The spongy bone is further divided into 2 types — Type I & Type II. 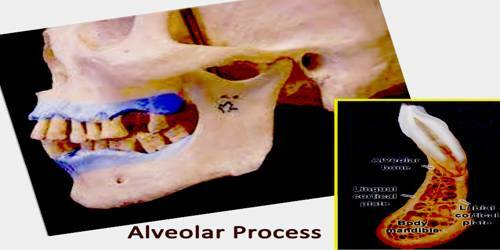 The alveolar processes should be considered as practically distinct bones— their structure, functions, and embryology differ so completely from the structure and functions of the maxillary bones. On the maxillae, the alveolar process is a ridge on the inferior surface, and on the mandible, it is a ridge on the superior surface. It makes up the thickest part of the maxillae. The free rim (of the alveolus) is so thin that there is little if any, room to accommodate any medullary or Haversian canals. It has thus an impoverished blood supply, and its vitality is necessarily very low. The cortical plates as varying in thickness, depending on the stress to be sustained. The alveolar crest is the most cervical rim of the alveolar bone proper. In a healthy situation, the alveolar crest is slightly apical to the cementoenamel junction (CEJ) by approximately 1.5 to 2 mm. The alveolar crests of neighboring teeth are also uniform in height along the jaw in the healthy situation. The mineral content of alveolar bone is mostly calcium hydroxyapatite, which is similar to that found in higher percentages in both enamel and dentin but is most similar to the levels in cementum (50%). Like all bone, mature alveolar bone is by weight 60% mineralized or inorganic material, 25% organic material, and 15% water. The minerals of potassium, manganese, magnesium, silica, iron, zinc, selenium, boron, phosphorus, sulfur, chromium, and others are also present but in smaller amounts. The developmental disturbance of anodontia (or hypodontia, if only one tooth), in which tooth germs are congenitally absent, may affect the development of the alveolar processes. This occurrence can prevent the alveolar processes of either the maxillae or the mandible from developing. 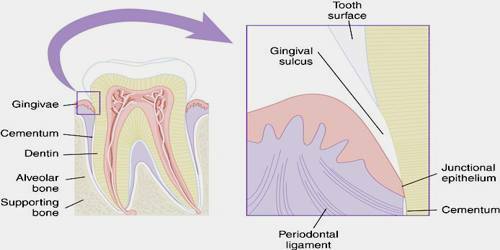 Proper development is impossible because the alveolar unit of each dental arch must form in response to the tooth germs in the area. 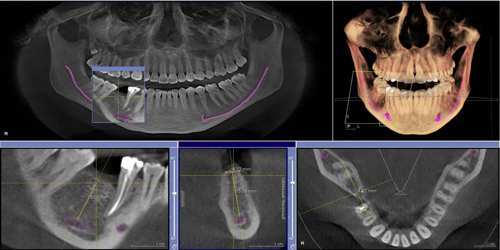 The vitality of the affected teeth is often lost following alveolar process fractures. Sensitivity testing may have to be repeated later on. Every single tooth in the fragment and those adjacent must be examined carefully. The aim of treatment is the preservation of all bony fragments. Treatment should be initiated as soon as possible. The major part of mobile alveolar bone fragments is attached to the periosteum. The removal of these bone fragments is not indicated as they usually heal. This treatment is generally possible under local anesthesia.